Bruce Springsteen and the E Street Band launch The River Tour 2016, a nine-week US trek, on Jan. 16 in Pittsburgh. The announcement of the tour coincides with today's release of "The Ties That Bind: The River Collection," a comprehensive look at the era of the 1980 "The River" album that "Rolling Stone" calls "Springsteen's best archival release yet." The box set is now available at Amazon (4CD/3DVDs or 4CD/2Blu-ray) and iTunes. Each night of the tour will be mixed for release on Live.BruceSpringsteen.net as high-quality downloads and CDs. Recordings will be available within days of each performance. 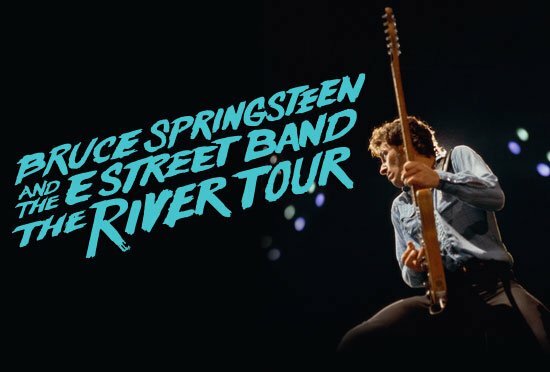 The original The River Tour began Oct. 3, 1980, two weeks before the release of Springsteen's fifth album, and continued through Sept. 4, 1981. With sets that regularly approached the four-hour range, the 140-date international tour firmly established a reputation for Bruce Springsteen and the E Street Band as marathon performers. Tickets to The River Tour go on sale Dec. 11.